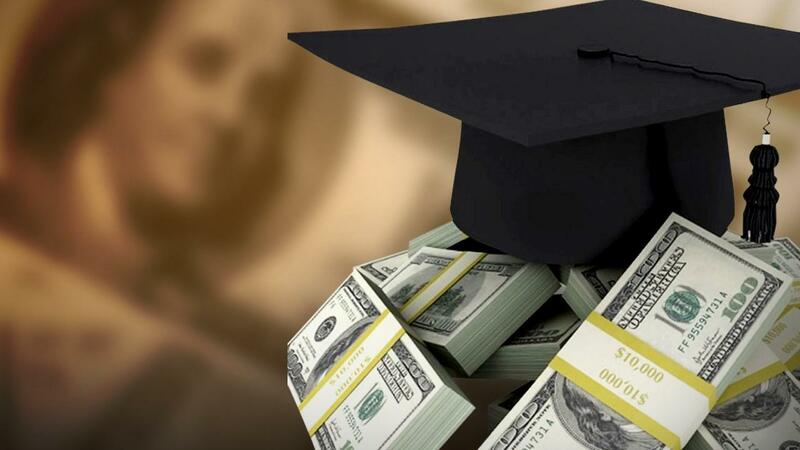 If you’re a doctor, a dentist, a lawyer, or any other professional with a higher education, chances are that you could be looking at good amount of student debt. In fact, many times you’re looking at multiple student loans at once. When you take time to consider the total amount of debt and the estimated payoff dates, it can feel overwhelming at times and like the payments are never going to end. The idea of being debt free can sometimes feel like a distant dream. Oftentimes, we find people take one of two approaches. They continue to make their regular monthly payments and accept the fact that this debt isn’t going anywhere until they hit their estimated payoff date. Then sometimes you have people who pay a little extra each month in hopes that the payoff date will come someday sooner than the expected. There are, of course, many approaches to tackling student loans. Today we’ll share just one approach which could help significantly shorten the lifetime of your loans and, therefore, the total interest you pay over the lifetime of that loan. First things first, identify your free cash flow – Complete a budget to identify what amount of free cash flow you could reasonably set aside each month to put towards paying off your student loans. Rather than letting the payment due each month dictate how much you put towards paying off your student loans, let your budget dictate that. Take your total household income less taxes, other savings (i.e. retirement), and your basic living expenses, and see what’s left over. Then make that your savings goal to put towards all your student loans each month. Next, prioritize the loan with the highest interest rate – We’ve all heard before that it makes sense to prioritize your loan with the highest interest rate. Here we’re not only suggesting that you do that, but we’re also suggesting that you put all your extra savings towards paying that high interest loan off. For example, let’s say that your budget indicates that you have $2,500 in free cash flow each month to put towards your student loans. If you have 3 loans with interest rates of 4.5%, 5.75%, & 6.25%. Take the $2,500, make your regular monthly payments for the 4.5% and 5.75% loans, and then put all the rest towards paying off the 6.25% loan. The idea here is that you’re more aggressively paying off the high interest rate so that it’s paid off sooner. Continue this trend but don’t decrease your overall monthly payment – Once the highest interest rate loan (such as the 6.25% loan in our example) is paid off, continue with the same approach of focusing on the loan with the highest interest rate. However, here’s the key: Do not decrease your overall savings of $2,500 just because one of your loans is now paid off. Continue to set aside the $2,500 to put towards all your student loans each month. This will allow you to even more aggressively save and pay off the next loan. So continuing with our example, you would take the $2,500 less the monthly payment due for the 4.5% loan and then put all the rest towards the 5.75% loan. You would just continue in this manner, putting away $2,500 per month, until all the loans are finally paid off. Student loans, of course, are an extremely complex financial planning topic. This approach might seem to oversimplify things and might not work for every single situation. However, this is just one approach that could work and might be worth considering. So if you or someone you know is trying to tackle student debt, please feel free to share this tip! Having a more streamlined payoff plan like this might just be enough to help alleviate the overwhelming stress that student loans can cause.